Mangaluru, May 01, 2018: The Kukke Shree Subrahmanya Temple in Dakshina Kannada district continues to be the richest muzrai temple with an annual income of Rs 95.9 crore. The temple’s income was Rs 89 crore last fiscal. “A large chunk of the temple’s revenue comes from performance of various sevas, with some having a long waiting list. Collection from sevas alone has touched Rs 40.5 crore this year,” said the temple’s executive officer Ravindra. The second source of revenue is from hundi collections (Rs 20.5 crore), followed by Rs 19.4 crore from bank interest, Ravindra added. Other sources of income are agriculture (Rs 14.7 crore), rent (Rs 2.5 crore), offerings (Rs 2.1 crore), rental from halls (Rs 2.8 crore) and others (Rs 7.9 crore). Devotees continue to offer ‘demonetised’ currency at the hundis. Contributions also come in the form of US dollars and currencies of other rich nations, he said. 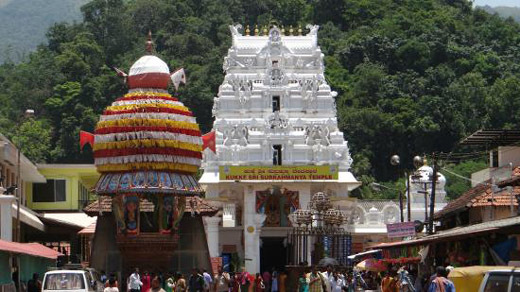 High-profile devotees at Kukke include cricketers Sachin Tendulkar, Javagal Srinath, Ravi Shastri, Venkatesh Prasad as well as actors Amitabh Bachchan, Shilpa Shetty and Juhi Chawla.